Edutainme is one of the most promising online projects of its kind in Russia, according to experts from Russian Startup Rating. Edutainme, which was launched in March 2013, is both an internet magazine and a social platform for discussing new technologies, research and trends in education, as well as a community of those who develop education services and applications and those who use them. "Our main theme is EdTech, Educational Technology, which looks at how technologies, mainly IT-technologies, transform school and university education,” say project founders Vladimir Sinelnikov and Natalya Chebotar. “These include MOOC, Big Data, gamification, digital teaching, mobile applications, the DYI movement, and social networks in education,"
Edutainme helps establish links between the education community and startups that work in education. In addition, the project team conducts web seminars for users. Their plans for the future include organizing digital teaching training and regional events. "Edutainme has a clear target audience: professional teachers and parents 'deeply' involved in their children's education. This is not a particularly numerous audience (for the Russian market, in our estimates, it amounts to 1.5-3 million people) but they are very active and have pronounced interests in this field," says Denis Petrukhin, managing director of Future Colors, one of Russia’s leading designers of commercial web projects. The Edutainme website looks very informal, part of the project’s aim to make education a comprehensible and popular topic. "We make teaching trendy," is the unofficial slogan of the project. Most importantly, the founders are convinced, information should be easily absorbed and accepted by the target audience, i.e. teachers, since it is they who in future should become agents of change in the system as a whole. "We write about professional subjects in an uncharacteristically fun and simple way, as a popular culture magazine would write about the latest trends in education. That is why the website is so different from other education websites or specialist publications," the project founders explain. "There are practically no other projects on the Russian market that would be comparable to Edutainme. The market is empty and is waiting for its hero to come - which is confirmed by the project's current growth,” says Petrukhin. “So far, this is not a popular topic. The 50,000-100,000 people who are reading us amounts to all the people who are interested in finding out something new. Having said that, if last year we had no more than three-four Russian education startups to write about and the bulk were foreign projects, now we hear of new Russian initiatives, case studies, research, and heroes almost every day." Last year, Edutainme was the only education project among Russian startups. This year, the situation has changed, as several other small projects have emerged and leading media outlets are covering these topics increasingly more often. Sinelnikov and Chebotar point out that there is a large number of good and top-quality education services emerging in Russia and gaining popularity among students, for instance Coursera or LinguaLeo, which also featured on the list of Russia's best startups of 2013, and many others. According to Russian Startup Rating experts, this alternative education sphere, which is competing with the traditional one, is more dynamic and flexible in terms of change. Therefore, sooner or later, students themselves will start introducing technologies they have learnt about here into the main system and it will become a systemic practice. This is what is happening, for example, in the U.S. Although there too this process is a two-way street, as many schools, Petrukhin explains, have a technical director responsible for introducing new technologies in the education process. "Under the influence of IT-technologies, the Russian education market is rapidly changing. 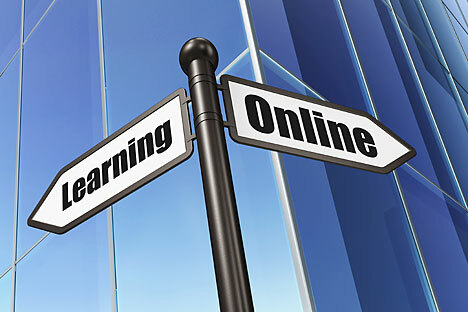 Its e-learning segment is growing by 23 percent every year. This generates a growing interest in new education technologies in Russia too, so Edutainme has a good chance of becoming a successful specialist media project," says Konstantin Vinogradov, head of academic and education projects at the Runa Capital investment company.